A manager, coaching staff and business manager. A philosophy of how your team or club will handle player selections, play time, practice, etc. An operating budget. You will need to figure out what will cost and how you are going to raise the money. Tournament entries are only accepted when an application and the entry fee are mailed in together. Applications are available on this website. Fill out the application and mail it to the address on the bottom of the application. You may fax the application to the number on the application to reserve a spot. No spot is guaranteed till payment has been received. Keep in mind that many events will close early and it is best to enter as early as possible. Always send an e-mail to the tournament director letting him know that you have mailed an entry and checking on the status of the tournament. WHEN WILL BRACKETS BE POSTED? Brackets are usually posted on the Monday night before the tournament. WHAT DO I DO ONCE I HAVE MY BRACKETS? All teams must check in before their first game. You will need your roster with parents' signatures, which is available on the website, copies of your player birth certificate, and proof of team insurance. WHAT IF I HAVE TO DROP OUT OF A TOURNAMENT ONCE I HAVE ENTERED? A team may drop out of a tournament anytime up until the brackets are done. Generally that is 6:00 pm Monday, but they are sometimes posted earlier. Once brackets are completed, a team may not withdraw from a tournament unless the tournament director has a replacement team. If a team does withdraw once the brackets are completed, they are responsible for a $200 dropout penalty. All registrations are done online at www.usssa.com. 2019 registrations start on August 1, 2018 and go until July 31, 2019. WILL MY FIELD LOCATION OR GAME SCHEDULE CHANGE? USSSA makes every attempt to keep changes to a minimum, but sometimes changes have to be made due to circumstances beyond our control. Always re-check your schedule right up until the Friday night before the tournament to make sure that no changes have been made. HOW DO I FIND A TEAM FOR MY CHILD? We have a players needed page listing teams that are looking for players. It is on the home page of our website. HOW CAN I FIND MY TEAM RANKING POINTS? 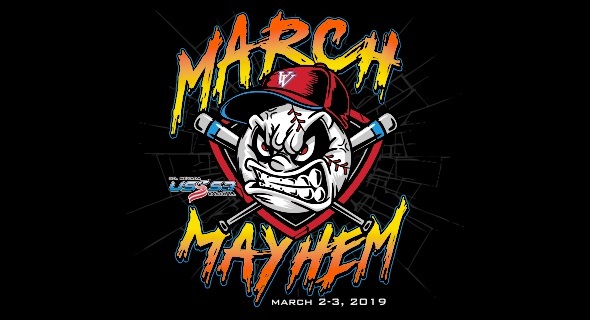 USSSA has a National website called USSSA.com on which we keep track of the result, score, and ranking points for every tournament that we host. This website contains a wealth of information for the teams and fans. You should spend some time exploring it. WHAT HAPPENS IF A TOURNAMENT IS CANCELLED? If a tournament is cancelled for any reason with no games being played, USSSA will refund the entire entry fee. USSSA has no other financial responsibility for a cancelled tournament. WHAT IF OUR RANKING POINTS ARE WRONG? HOW LONG IS MY INSURANCE GOOD FOR? Our insurance runs for the calendar year and all teams will have to purchase 2014 insurance as of Jan. 1, 2014. Our insurance will cover your team anywhere that you play. Click on the insurance link to purchase insurance. WHEN IS MY CHILD FROZEN TO A TEAMS ROSTER? Teams that won a tournament starting on Veterans Day until March 3 will have their roster frozen on March 7. Teams that win tournaments after that will have their rosters frozen immediately after the tournament. In addition, starting April 1, the top 25% of teams in a tournament will have their rosters frozen. If some of the top 25% already have their rosters frozen, then the frozen rosters will pass down to lower finishing teams. All USSSA roster become unfrozen at the completion of each age group teams World Series. The only exceptions are teams who are participation in the Elite World Series. Those teams become unfrozen at the conclusions of the Elite World Series. CAN MY CHILD PLAY UP IN AGE WITH ANOTHER TEAM EVEN IF HE IS FROZEN TO A ROSTER IN HIS OWN AGE? Yes a player can be frozen to two rosters if one of the teams is of older age. However, remember that a player can never play with two teams in the same tournament. DO YOU HAVE TO WIN A BERTH TO PLAY IN THE STATE TOURNAMENT? You do not have to win a berth to participate in the State Tournament. All teams are eligible. IF WE WANT TO GO TO A WORLD SERIES EVENT DO WE HAVE TO PLAY IN THE STATE TOURNAMENT? If you plan on attending a Major or World Series event, your team has to play in the state Tournament. WILL MY TEAM RECEIVE TRAVEL MONEY FOR ATTENDING A WORLD SERIES? Beginning in 2008, there will be no travel fund for teams traveling to World Series events. CAN MY CHILD PLAY LEAGUE WITH A DIFFERENT TEAM THAN THE ONE QUALIFIED WITH? Yes, your child can play with a different team in league. However, they cannot play with any other team than the one he has qualified with in tournaments. CAN MY CHILD PLAY WITH A MAJOR AND A TEAM IN THE SAME AGE GROUP? No, your child may play with only one team within his age group. WHY DO YOU HAVE PITCHING RESTRICTIONS? One of the very first tournaments we ran, we watched as a 13 year old boy threw 180 pitches in an 11 inning game. Both his coach and his father (who was on the bucket calling pitches), refused to take him out because they had lost sight of what was really important and were going for the win. It was after that we decided to make sure it never happened again. How many innings is enough for a 10-year-old kid anyway? We did research and came up with our current system. 8 innings in 48 hours along with warm ups, playing other positions and playing as many as 7 games in a 3-day weekend were all taken into consideration. Our restrictions force teams to develop more pitchers and not rely on 1 or 2 pitchers to get through an entire tournament. WHAT WILL HAPPEN IF WE USE AN OVER AGE PLAYER IN A TOURNAMENT? Using an over age player in a tournament is a very serious offense and will be treated as such. The team would forfeit all games that the over age player participated in and will be dropped from the tournament. The manager and player would be liable for up to a one year suspension from USSSA play. Under no circumstance will this be allowed. WHAT IS THE PENALTY FOR UNSPORTSMANLIKE CONDUCT BY A MANAGER, COACH, OR PLAYER? If a manager or coach is ejected from a game, they will sit out that game and the next game. The penalty could be longer depending on the severity of the situation. If the manager, coach, or parent is involved in a fight, the penalty could range up to a one-year suspension from USSSA. Physical abuse of our officials will not be tolerated and will be dealt with severely by suspending the guilty party and pressing criminal charges with the police if necessary. A player will usually sit out only the game they are ejected. The penalty for a player could be longer, depending on the severity of the situation. CAN A TEAM WIN MORE THAN ONE BERTH IN A SEASON? When a team wins and accepts a berth in USSSA, that is their qualified or frozen roster. You cannot re-qualify in another tournament and submit a new roster. All roster questions will revert back to the original qualified roster. WHAT IF A MANAGER WILL NOT RELEASE A PLAYER? It is up to the manager to decide if he wishes to release a player. USSSA cannot intervene if a manager refuses to release a player. WHEN CAN A TEAM DROP FROM A TOURNAMENT WITH NO PENALTY? Normally a team may drop from a tournament up until 1:00 PM on the Monday before the event. Deadlines for some larger tournaments may be set sooner. Once the deadline is passed, a team is responsible for a $200 penalty if they drop out, unless we can find a team to replace them. We consider 5 teams to be a tournament. We will play with four teams if all teams in the tournament agree to play a double round robin. WHAT IF A TEAM INTENTIONALLY FORFEITS? If a team intentionally forfeits in pool play in order to save pitching or change their playoff seeding, that team will be dropped from the playoffs. WHICH DIVISION IS STRONGER MAJORS, AAA OR AA? USSSA has three divisions for tournaments Majors, AAA and AA. Major is the strongest and then AAA and AA. In the 15-18 divisions, there is generally only one division. Tournaments are split whenever we have enough teams in each division to split them. WHAT ARE THE PITCHING AND BASE DISTANCES IN USSSA?